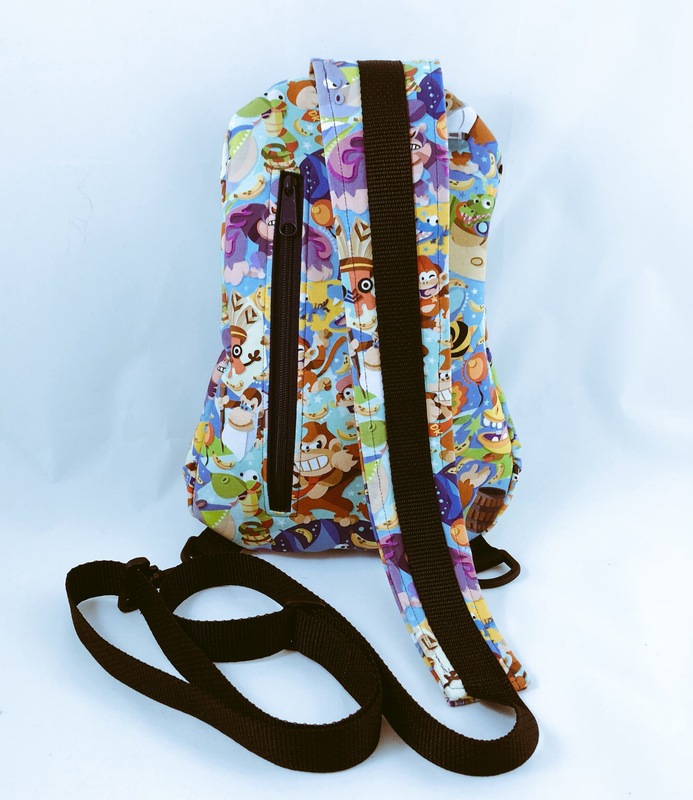 I made this Donkey Kong sling backpack for my husband for PAX East. I’m so happy how it came out! The pattern is the Erika Sling Bag by ithinksew. It’s pretty small, about 12″ tall. But that makes it perfect for carrying just your essentials around a convention (and under a kigu!!). 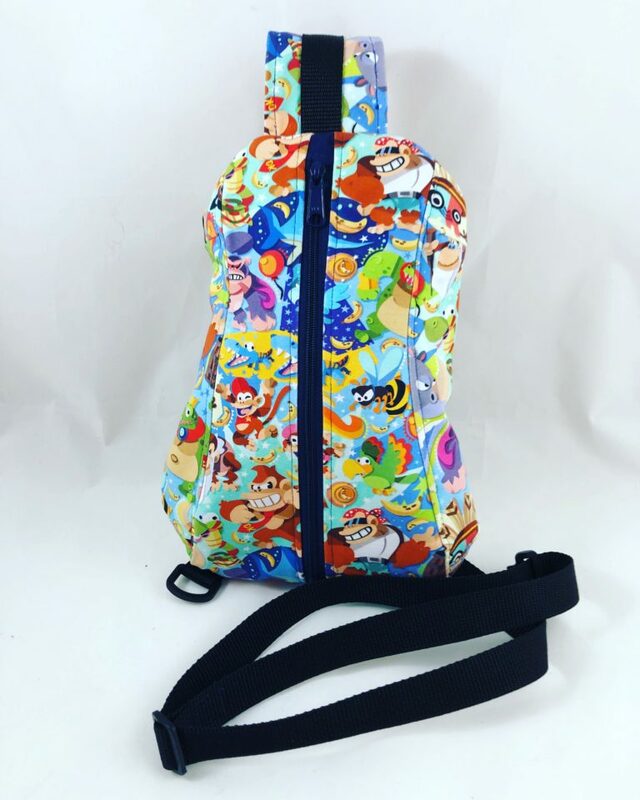 The fabric is a custom print by Backstitch Fabrics. If you’re interested in a custom Erika, send me a message on Etsy! I will have time for commissions in about a month.